The Humane-Aire™ System is a controlled atmosphere stunning system (CAS) that reduces stress in handling, transporting and stunning turkeys and chickens. The Humane-Aire System is helping set a higher standard in working environment and quality of the final processed turkey. Turkey meat that is processed in the Humane-Aire System, with its Controlled Atmosphere Stunning, typically exhibits less indication of stress, resulting in a higher yield and is therefore a more efficient method of harvesting. As the next generation in turkey processing, Humane-Aire also provides restaurants and retailers with the option of purchasing protein from a food chain that has demonstrated awareness and investments in more humane processing technologies. “Humane” was consistently the top-ranked choice among respondents when asked to choose products that were identical except for the standards, according to a survey of 1,000 households and five focus groups by the Center for Agroecology and Sustainable Food Systems at the University of California. 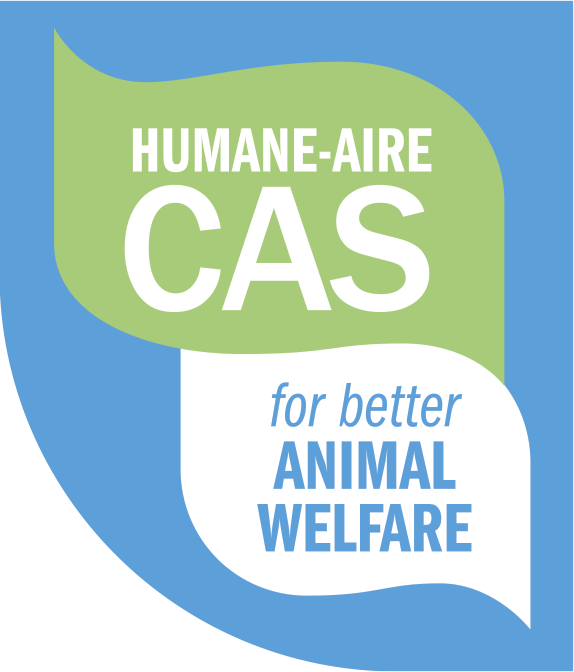 Humane-Aire … a better solution. The installation at the processing plant I visited in the United States was excellent. Moving the entire Bright Coop through the controlled atmosphere stunning eliminates stressful shackling of live birds. The system was well designed and will be easy to maintain. The video of the induction of anesthesia showed clearly that increasing CO2 slowly in stages resulted in birds that had a very mild reaction. There were absolutely no escape movements where the birds attempt to get out of the container. The video you showed in the conference room should be used as a training video for auditing.